I hope this is not another stunt.....According to Ghanacelebrities, who reported and confirmed the whole story about Jim Iyke and Nadia Buhari'relationship. 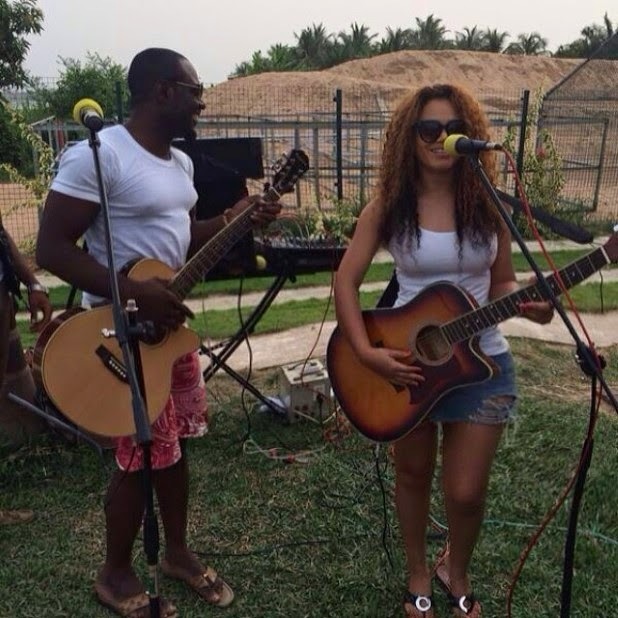 It took me quite a long time to buy into the speculation that Nadia Buari and Jim Iyke were not only banging mates, but were truly in a relationship. Even when my sources close to Nadia Buari confirmed to me that she was in a real relationship with Jim Iyke, I just couldn’t bring myself to accept this—and always wondered how Nadia Buari was going to handle Jim Iyke’s temper. I only truly accepted that their relationship was real when my sources at a hotel they both stayed in at East Legon (a place I’ve stayed before) also mentioned that, Jim and Nadia were hiding there in one room—splashing what seems like love all over the place…But that was then! For those who said the Nadia Buari and Jim Iyke’s relationship was not going to last, I am somehow sorry to say; you were RIGHT. “The relationship has ended and if you see them together again, then they are trying hard to play the media. She just can’t take his temper anymore so she has ended it. It is not worth it for her and all that she thought Jim could do for her career did not also materialize” one of our sources said. We are happy that this disproportionate relationship with no sense of direction has come to an end. At least, Nadia Buari can sit down and focus on her career, until she finally meets a man who will treat her like the queen that she is—or else, before she knows, she will be ‘Solanging’ Jim over his temper… So Nadia Buari is back on the MARKET!